The “Empire State Of Mind” singer saves his marriage after getting straight with Beyonce Knowles. He explains that they chose to fight for our love and family so that they could give their kids different outcome as well as to break that cycle for black men and women. Jay Z and Beyonce attend the Clive Davis’ pre-Grammy party Saturday night. It seems that their marriage is stronger now. Meanwhile, Jay Z is nominated for eight awards of Grammys 2008. 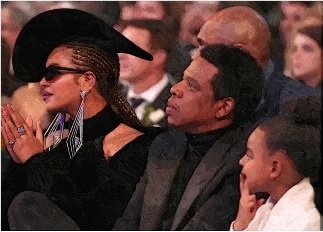 His wife Beyonce and Blue Ivy are there to support him. The music mogul fails to win in any of his categories, including Best Rap Album category and Song Of The Year and Album Of The Year. His six-year-old daughter has a viral moment when she stops her parents from clapping in a hilarious moment from the front row at the Grammy Awards.